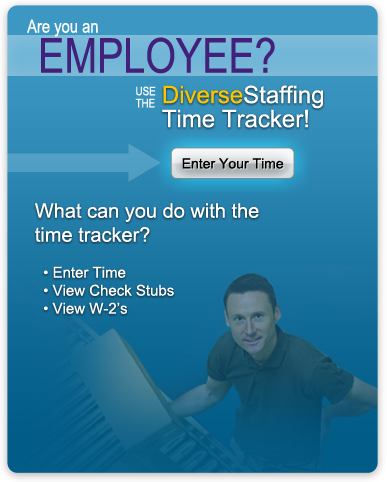 Diverse Tech Staffing provides solutions for you and your career goals. 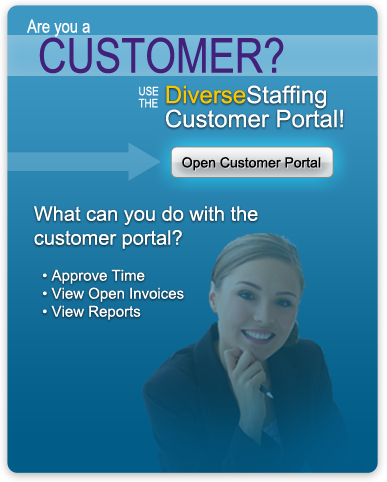 Each career solution we provide serves to meet a number of demands from both our associates and our clients. We work with everyone involved to determine the best solution and to fill the position with the best possible candidate. From direct hire and project management, to contract-to-hire and contract placement, Diverse Tech Staffing works with you to find the best career opportunity to satisfy your lifestyle and to put you on the right track to a more successful future. By offering four different types of employment opportunities, we are able to help more people secure positions that accommodate their goals and improve their lifestyles. No matter the career solution you are interested in or looking for, our team works with you to create tailored career objectives. We make sure your job search is personalized to suite your goals, work experience, and your specific skills.